We provide discounted parcel delivery to Bhutan from India. The Himalayan kingdom of Bhutan is neighbouring country of India and India has influential relations with it. Inspite of being a small nation Bhutan is world’s second fastest growing economies. 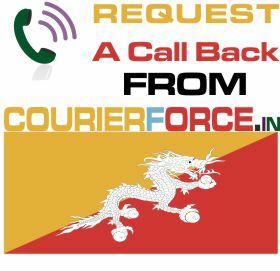 At Courier Force we can help you arrange the most timely and low cost shipping to Bhutan. This we do with the help of our business relations with big brand courier companies like DHL,TNT, FedEx,Aramex which enables to negotiate for the best rates for courier to Bhutan. Our team members have years of experience and have all the knowledge to make the delivery of your package to Bhutan a wonderful and satisfying experience. For getting a quote for your parcel to Bhutan you just need to mention the weight and dimension for your parcel and you will instantly get a quote from us. Book your shipment to Bhutan with us today and avail the benefits of a world class experience. 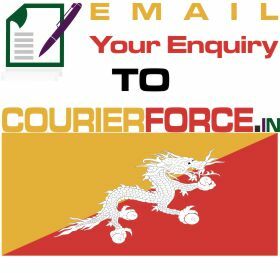 Prices below are door to door courier rates to Bhutan from Mumbai. These charges are cheapest in India for sending courier to Bhutan from India. This is by a courier company which is the best in industry for parcel services to Bhutan. 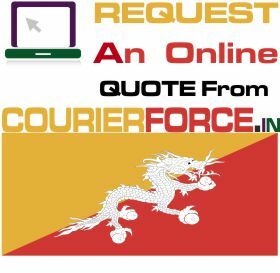 Again, Courier Force is one of the very few companies who have their own network for distributing parcel in Bhutan. It will take anywhere between 3 and 6 working days to deliver your parcel to Bhutan from India. We will be simply collecting the parcel from your business or residence in India and delivering it to your destination address in Bhutan. Duties, taxes and customs charges if any (in Bhutan) will be additional.